How did you feel before and after your memorable win in the long jump at the 2012 IAAF World Indoor Championships, where you successfully retained the gold medal in the long jump with a jump of 7.23 meters. You became the first woman to win back-to-back World indoor titles in the long jump when you landed a 7.23 m, the longest mark indoors since 1989, a new American record and third on the all-time indoor lists ? When I jumped the American Indoor Record in 2012 I was shocked. My main focus was that I was sitting in 2nd place going into my last jump and I needed to find a way to win. It took everything I had left in the tank to pull it off and after the meet I was informed it was the American Record. I never knew what the Indoor Record was so to achieve that was a great surprise. You won 2012 Olympic gold medal, Three-time World Outdoor gold medal – 2009, 2011, 2013 and Two-time World Indoor gold medal 2010 & 2012. But you had your fair share of injuries. How you were able to overcome the physical injury/setback and what advice you can give to fellow sports person in a similar situation? 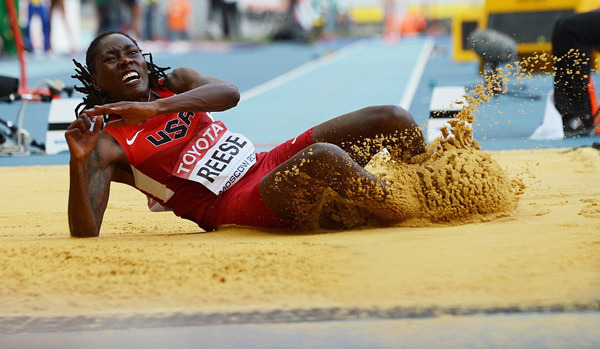 Ms. Brittney Reese: The thing I am learning about having injuries/setbacks is to have patience. You have to learn how to listen to your body and let the process handle itself. Rushing back from a injury is never smart because you can end up re-injuring yourself and setting yourself back even more. Just stay positive and don’t rush back. On 10th May 2013, you did your personal best in long jump (outdoor) of 7.25 m at Doha (Hamad Bin Suhaim). Elaborate your experience on this exceptional performance? When I jumped my personal best in Doha I was excited. It was a great competition that day as multiple women were jumping in the 7 meter range. So to go out there and put up a personal best in that competition was really exciting. You have won 2009 World Championships Berlin, Germany, 2010 World Indoor Championships Doha, Qatar, 2011 World Championships Daegu,South Korea, 2012 World Indoor Championships Istanbul, Turkey, 2012 Olympic Games London, United Kingdom and 2013 World Championships Moscow, Russia. What responsibility these winning bestow upon you in your future efforts and activities in the field of long jump? Winning those medals have been motivation for me to win more. It also gives me something to show kids what happens when you work hard. I want them to see that they can also be successful. My biggest influence and motivation in my path to success is my mother. She has been my number #1 fan from day one and I proud to have such a strong woman in my life. You have been associated with B.Reese Scholarship that is awarded annually to 1 male & 1 female student who have been accepted to a 2-year or 4-year college. You donated 100 turkeys and your time to various homeless and religious organizations in your community of Gulfport, Mississippi.These associations has been dear to your heart, tell us how you have been able to achieve and quench your thirst of giving back to the society through these endeavors of your? I have been able to give back to my society because I want the kids to understand you can be successful. I do believe that hard work has played a role in my success. Competing with the best in the world each year, you always have to be on your A game. So it pushes you to want to be better. You don’t have to be great to start but you have to start to be great !!! 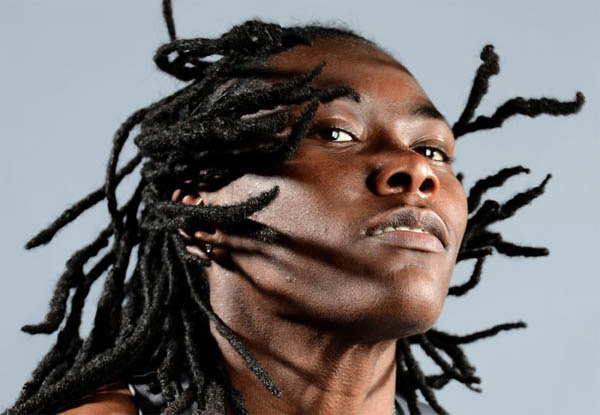 Women Fitness Team thanks Brittney Reese for giving her valuable time for this interview and quenching the thirst of her fans to know more about her and made this interview happen.